With the Frankfurt Motor Show beginning earlier this week, I thought it would be interesting to see things from Paolo Tumminelli’s perspective. Paolo’s automotive design column is published weekly in “Handelsblatt,” Germany’s premier economic and financial magazine, and Paolo is also a Professor at the Faculty of Cultural Sciences at Cologne University. As I don’t speak German and haven’t been a college student for a few years (make that decades), I found Paolo through his terrific book, “Car Design Europe,” which is published by teNeues (click here). His follow-up, “Car Design America,” is next on my reading list. “Car Design Europe” is like an encyclopedia of the cars I loved growing up in England in the 70s. Due to my roots I tend to have a more emotional connection to European rather than American car design. Do you have a preference? They are two different schools, and in Europe we believe of course that we do it the best, and sometimes forget the others. But I tend to be neutral and like all cars as they have a reason for being like they are. The real thing is to ask why things developed that way. Even what we call bad design – someone did it – sometimes on purpose. Exactly! But as style changes, your style may change, too. For example, few people today like the “edge cars” of the 70s, but when those cars were new – when pop-up headlights and flat bonnets first came out – people loved them like crazy. Maybe it’s a matter of Zeitgeist, and you don’t know the reason why. Speaking of changing styles, it seems like there’s a return to the grand automotive shapes of the 20s and 30s, and the preference in China for cars that convey power and status is driving the trend. Do you agree? Yes. Some people call it a Hooper-style – cars that are huge in the front, and small in the back. Proportionally, the trunk is disappearing again. This takes me back to my book, where I talk about the invention of the trunk, which happened when the idea of carrying luggage in the car became acceptable. We have a Concours at Schloss Dyck and there was a Ferrari 250 GT Spider, and someone complained about the size of the trunk. But people who bought this car in the late 50s never cared about luggage because they had someone to take care of that; they would have a station wagon sent ahead to Monte Carlo or wherever with the luggage. But when the limousine [this means large sedan to Europeans – Editor’s Note] became popular in the 50s, people didn’t have anybody to take care of the luggage. So they had to create a new space for the luggage. In China today, the people who buy those cars are just as rich as the Americans were in the 1920s – and they don’t care about luggage, either. So in that sense, it’s a very elitist design for the purpose of status – which is a phenomenon we don’t care about any more in Europe, where status connected to the automobile is no longer an issue. The idea that driving a big car means that you have a lot of money has gone. I know some very wealthy people – many of whom own thoroughbred horses – but they don’t care what type of car they drive anymore because there’s so much trouble with owning and driving cars in Europe now. For example, with the congestion charge in London which basically got the Rolls-Royce out of Kensington, even the wealthiest people are forced into smaller or electric cars if they want to commute around. Towards the middle class, prices for luxury cars went down – which is a new thing in Europe – because of the huge number of new models that were introduced. So it became easier for people on a more limited budget to afford the expensive cars they really wanted. Now the myth of owning the big Mercedes or the Porsche has in a way gone. Societally, especially in Germany, we have a very strong Green Party, and many people including CEOs downsized to smaller cars. Plus there’s a ubiquity of midsize Audis, VWs and BMWs that are corporate cars, so whenever you see them, you know that 98% of the time those are company cars. So you don’t dream of those cars anymore. If you look back to brand structures like what General Motors had with Chevrolet, Pontiac, Oldsmobile, Buick and Cadillac – the idea that there’s a ladder that to climb, like first you buy an Audi A3 then an A6 then an A8 – that is gone. And that’s why everyone is into driving a different car: it’s more a symbol of your personal style than a symbol of your status. In Cologne where I live, the richest people drive Fiat 500s and have a garage full of classics. When they go to formal occasions they have a company car or limousine pick them up, but it’s not theirs because they wouldn’t profile themselves with a Mercedes S-Class like the big German industry bosses used to do. Many politicians in Germany left their S-Class and went to Prius for the same reason. It’s interesting because this opens a lot of possibilities to have a different class of small, smart cars like the new BMW i3. So big, expensive new cars are loosing cache whereas classic cars are gaining in value? In Italy there’s a new tax for powerful cars with large displacements, and it’s very costly – you can spend thousands of dollars per year. Therefore the value of big-engined cars like Porsche Cayenne has dropped, so they are being exported from Italy to markets like Germany, where the market is flooded which is bringing prices down further. So both the social value and the monitory value of the new car have declined. Classic cars offer a stable, solid value because production is limited and finite. The 1950s Mercedes 300SL Gullwing is an instantly recognizable car that can be found in every major collection in Germany, but they only made 1,400 and there won’t be any more. It’s a big movement even among “normal” people to either have no car, or go back to an old VW Beetle or a Porsche 911. People are also going back to the “Young Timer” cars from the 80s through early 90s to drive something special on a smaller budget. We are a bit conservative in Europe now, and buy classically designed furniture for our homes and classics for the garage. It is maybe a bit too romantic but this is how we feel. On the other side, with the BMW i3 coming in September, people are asking, “is this going to change the mindset of how we look at cars?” I think we are going to see a completely new way of building cars, and the BMW i3 goes into this new direction. Finally we are coming to accept that the car’s body parts can be plastic, and fit like plastic, and there’s no need to conceal it – I think this is going to change the way we put cars together. And I like to see BMW exploring different ways to arrange interiors, as this kind of creativity was badly needed: since 2000 it seemed the only acceptable interior layout was like a sports car, and that doesn’t mean anything to people who don’t want to drive fast. Italy, which used to be a paradise for speeding with its beautiful roads and light traffic, is now controlled photographically with cameras: if the speed limit is 30mph, people are so afraid they drive at 20mph! Likewise in Germany we have this myth of the autobahn that you can speed as much as you like, a fast as you like. But only 30% of the German freeways are non-limited. The Green Party governs the city of Stuttgart [where Porsche and Mercedes-Benz are based – Editor’s Note], and the “social correctness” wave in Germany is very, very strong, probably the strongest in Europe. Chancellor Merkel won’t do this, but I expect as soon as there is a new administration, the government will set a speed limit. Germany’s secret for building quality cars is the autobahn, where people used to go from Hamburg to Munich at full speed so the car must be able to handle this. Without the autobahn, German cars will keep being powerful and fast, but you will not be able to really test whether they fulfill their performance promises or not. In “Car Design Europe” you talk about the socio-political and creative forces that contribute to automotive design, and specifically mention the influence of fashion designer Tom Ford, as well as Tyler Brule, who founded the magazines “Wallpaper” and “Monocle.” Who or what do you consider to be the major forces shaping car design today? It’s always easier to look back and then understand what’s happening, so I’ll tell you in ten years! Seriously, what I perceive now is a conflicted and eclectic time like at the end of the 19th Century. 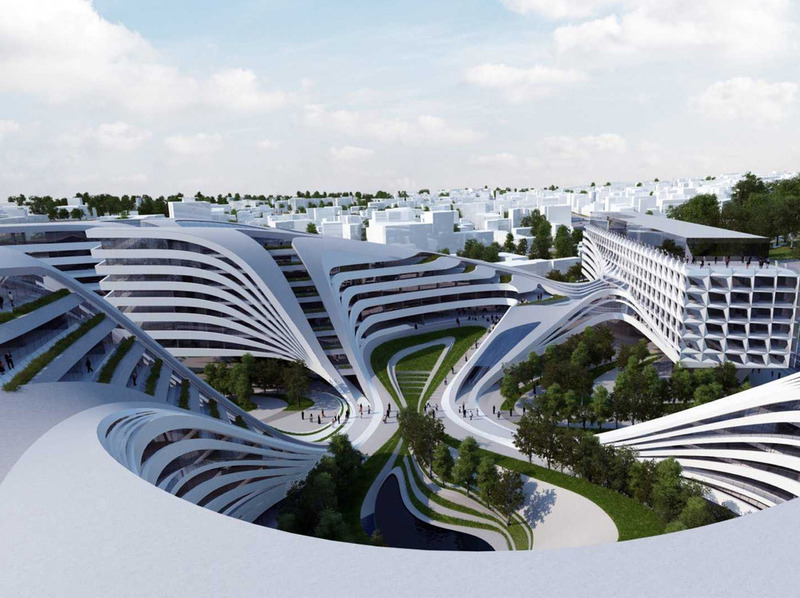 On one hand there’s very progressive, Avant Garde thinking from architects like Zaha Hadid and Germany’s Christoph Ingenhoven; and industrial designers like Konstantin Grcic who explore the natural behavior of materials and use those forces to create new, organic ideas. But on the other hand, there’s extremely strong conservatism. The best selling products in most categories, like watches and clothing – with the exception of shoes – are classics. There is going to be a struggle and fight between the conservatives and the progressives, and that’s pretty much where we are heading in car design. I can praise the BMW i3 and the architectural revolution taking shape in many cars, but then you are confronted with the majority that remain the same year after year. And you can’t say that this trend is minor or not influential, because people love and buy these classics, and many designers love both. But the question is, can we keep both forever? I don’t think so. With new technology and electric engines, there will be much more innovation than conservatism in the near future. During my conversations with automotive experts, the younger generation’s overall lack of interest in driving almost always comes up. What do you think about this? It’s amazing. In Germany, among people between 18 and 25 years old, only half of them have a driving license compared to twenty years ago. Not only do they not own a car, they don’t even have a license! At the Cologne University we did a project for Volkswagen Group to explore female attitudes towards mobility, so I had a group of students venturing out to experience all types of transportation. Very few students own or drive a car, but five of them drove from Cologne to Amsterdam and then presented a report about their experience. They had been talking about how unpleasant the trip had been when finally, on the tenth slide, there was a photo they had taken of couple driving an MGB with its top down on the open highway. I remember thinking oh, good, finally they are going to say something positive and loving about the automobile. But no! “What the hell is this?,” the group leader said, “it was freezing cold outside and the car was open, so they can’t talk to each other or listen to music, and besides that, it’s not even safe!” It was a nightmare for me! They killed my automobile myth in five minutes! I have another funny story from a Swiss banker I know quite well. He was taking a much younger girl out for the night, and he picked her up in his brand new 911. The girl gets into the 911, looks around then says, “don’t you have any friends? In this car there’s no place for people.” For her the idea is to have people around you, and going fast doesn’t even cross her mind, especially not in Switzerland where speeding is very tightly controlled. Are we the last generation of people to feel this way about cars? Yes, your generation and my generation, we are the last ones to experience cars as a vehicle of freedom. With cars you could express yourself, and because you were learning to go fast, you were challenging yourself. Speeding was everybody’s darling when we were young, but now you cannot do that anymore. In the controlled society we are seeing a completely different mindset where you control yourself, and never speed, and don’t push certain limits. Since 1993 in Europe we have had regulations requiring small kids to be strapped into their hard plastic protective chairs in the back seat where they can’t see left or right, and in front they only see a headrest or a video screen. So they grow up thinking of cars as a sort of prison. When I was a kid, my father would put us on the trunk of his roadster and it was like going to the roller coasters at the seaside. They don’t do these things anymore, so the feeling inside is completely different, and the coming generation will have different requirements for cars. Specifically in Europe, what new trends are you seeing in automotive? What cars do you think are trendsetting in their design? I believe there may be potential in “individual” cars with seating for just one person, and I say maybe because we only have the Renault Twizy to show this possible trend. If these cars were designed in a clever and stylish way, perhaps together with new taxation systems, this could be a solution for crowded European cities where parking is limited and many couples must share a single-car garage: two narrower cars could be parked side-by-side. 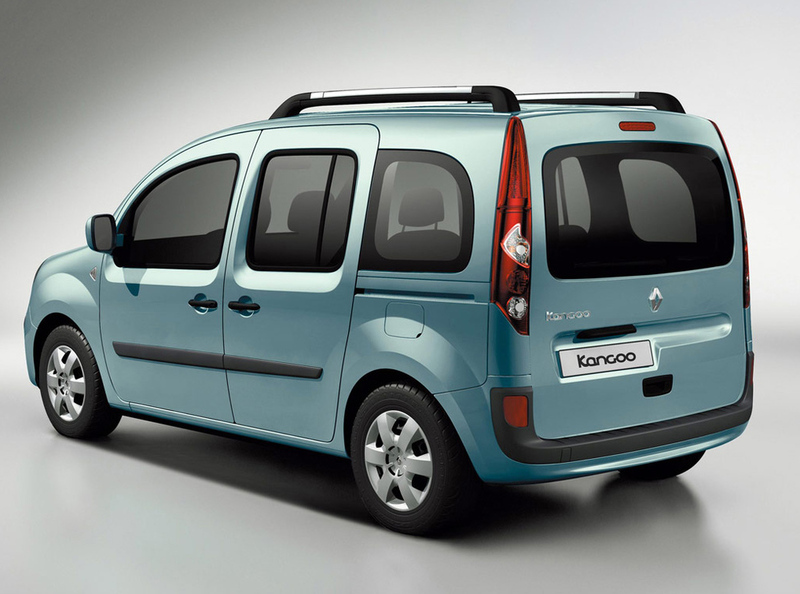 The Renault Kangoo and Volkwagen Caddy represent another type of car that is multi-functional, almost recreational, status-free, and a new way of interpreting functionalism and rationalism. They are fun, cheap and straight forward, and a good dimension for motoring. At the top of the market, Rolls-Royce is still a benchmark for style, and the Ferrari 458 Italia is a beautiful car. There is so much overdesign in the middle of the market that I’d either go for high status or I’d take something very cheap that gives you a lot of value for money. But in-between, it’s difficult.